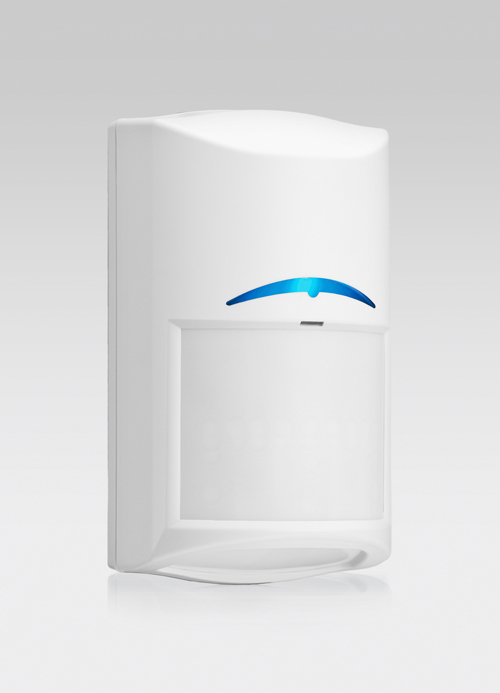 Bosch Security Systems has introduced the Commercial Series family of motion detectors. The Commercial Series detects intruders from wall to wall with a coverage range of 15 x 15 meters (50 x 50 feet). Features include First Step Processing to deliver an instant response to the first step of an intruder. Dynamic temperature compensation also ensures detection reportedly at virtually any temperature. Active Infrared Anti-mask detects materials being placed in front of or sprayed onto the detector. Microwave Noise Adaptive Processing adjusts to background disturbances, such as a ceiling fan or hanging sign, to easily differentiate humans from false alarm sources. The sealed optical chamber prevents drafts and insects from affecting the detector. These detectors also feature small animal immunity up to 4.5 kilograms (10 pounds). With an installation time that is listed as 43 percent faster on average than traditional detectors from other manufacturers, the Commercial Series motion detectors improve the efficiency of technicians while minimising installation errors to ensure reliable performance. Designed to eliminate service calls and reduce false alarms, the new integrated end-of-line resistors simplify wiring requirements while the angled lift-gate terminal strip prevents incorrect wiring. The self-locking two-piece enclosure with integrated bi-axial bubble level ensures mounting is fast and easy. In addition, Flexible Mounting Height allows the detectors to be positioned at 2.3 to 2.75 meters (7.5 to 9 feet) with no adjustment needed. Two models of detectors are available for a range of applications. The TriTech motion detector certified to EN50131–2–4 Grade 2 meets the needs of a range of commercial applications. It uses a combination of passive infrared (PIR) and microwave Doppler radar detection technology along with First Step Processing. For high-security applications, the TriTech+ motion detector certified to EN50131–2–4 Grade 3 with anti-mask features higher sensitivity and anti-mask capabilities to detect materials being placed in front of or sprayed onto the detector. Both models offer selectable sensitivity and LED visibility as well as an adjustable microwave Doppler radar range to reduce false alarms.